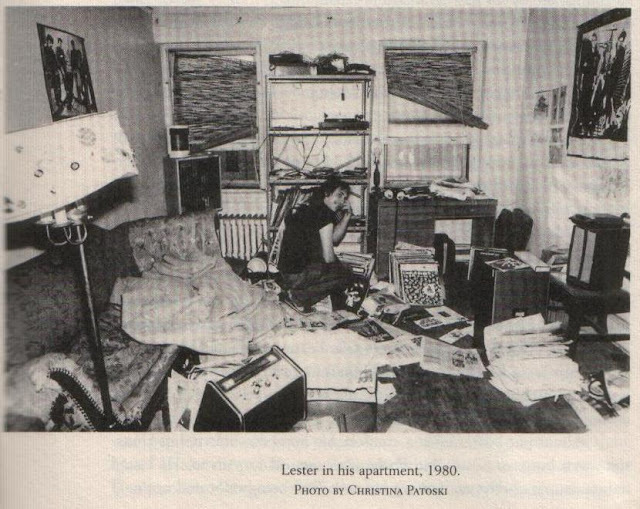 "I think Lester has had an enormous influence in terms of keeping people honest. He worked very hard not to lie, either by commission or omission. He worked very hard to say what he meant, to find out what that was, and then to find a way to express that as strongly and as plainly as he could. He continues to have a huge influence on people in that way. He reminds us, whether it’s me, or Dave Marsh, Bob Christgau, or dozens and dozens of other people, that we’re stopping short, we’re not pressing on with the subject as far as it ought to go, that we’re covering up, that we’re protecting ourselves, that we’re not admitting our own stupidities, our own bigotries. Lester reminds people not to be pretentious. He was a genius at getting out from under his own pretensions, of hoisting the weight of the world on his shoulder, and then knocking it up in the air, and kicking it around with his foot. He was very good at that." Greil Marcus, 1988. "Field Recordings from the Inside"
Route 64, Ogle County, Illinois, 8 pm.